How much is a good League of Legends player worth? Well, if Korean media reports are correct, a cool million dollars. That's supposedly how much is being offered for LoL super star Lee "Faker" Sang-hyeok. Sina Games reports that Korean media has unearthed information that two Chinese media companies have tendered offers on players from LoL team SK Telecom 1. The team's offers were supposedly more than the players were making in South Korea, and the offers aimed at Lee were the highest. South Korean transplant players are nothing new in China, a country with a growing e-sports culture. For example, the Korean Choi "inSec" In-seok plays for Shanghai-based Star Horn. His team recently came in second during LoL's S4 championships. According to the article, people are speculating as to what Lee's current contract is worth. He resigned with his team in September. Sina reports that the offers from the Chinese companies were pretty substantial. It's speculated that Lee's currently making around $98,000 - $147,000 a year from playing LoL. Those figures don't account for prize money and revenue paid from streaming services. One person in the know said that one company offered a $490,000 transfer fee for the player along with an annual salary of $196,000. The other company offered a $294,000 transfer fee and a two-year contract worth $686,000. The same person said that while the money offered at Lee looks good on paper, the companies that land Lee have bigger fish in sight. He says that whoever can land him is banking on Lee's skills drawing crowds, which equates to streaming revenue. There appears to be a lot more money at stake when it comes to streaming rights. 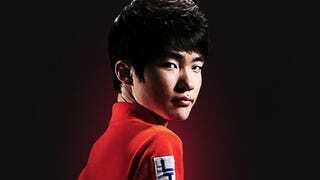 Most recently, Chinese LoL player Cao Mei announced that he was moving away from pro-team play and onto streaming play. He's now making buttloads of money.